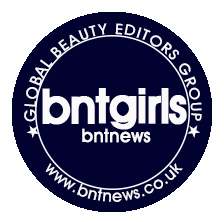 Korean Beauty, or KBeauty as it is popularly known is taking over the world by storm, with SoKoGlam and TheKLog at the forefront of KBeauty news, tips and secrets. KPop and Korean beauty YouTubers and beauty bloggers have also been widely popular in bringing KBeauty over to the Western area. 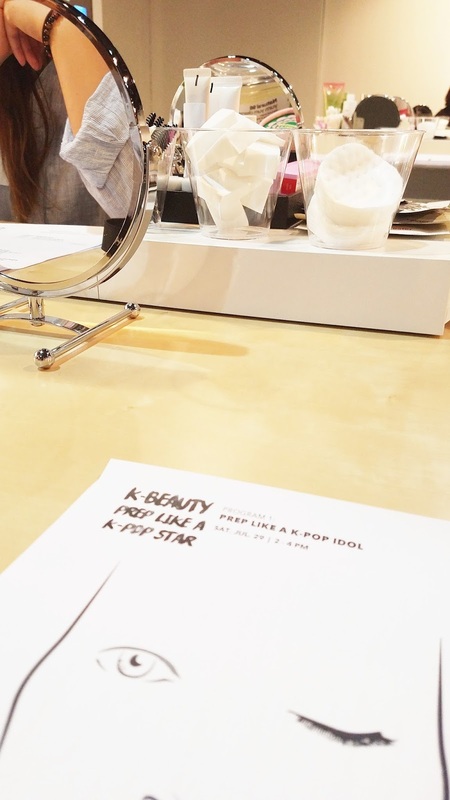 For the first time, The Korean Cultural Center of New York hosted a KBeauty workshop and they have invited one of the rising Korean beauty YouTubers, SydneyToYou to give a two-day workshop entitled, "K-Beauty, Prep Like A KPop Star." Her first day of the workshop which was held July 29, covers the popular K-Beauty multi step skin care routine and a BlackPink Rose's cover makeup tutorial. 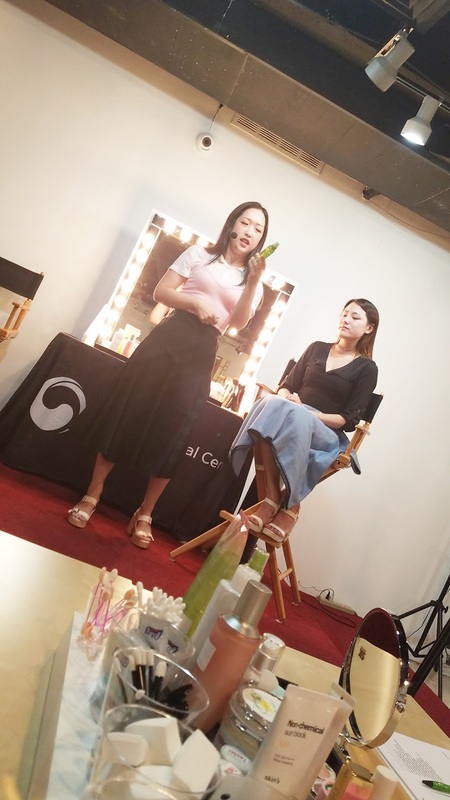 The second day of her workshop was held August 2nd, and was focused on the the Korean multi-step skincare routine for men! It also featured Big Bang's G-Dragon cover makeup tutorial. I was lucky enough to be sent an invitation for this workshop. It is a free event but RSVP only according to the invitation. I was definitely surprised when I received the invite because I can't remember signing up to any KCCNY newsletter. Nevertheless, I took the opportunity to join in the fun. I went ahead and RSVP'd to the first day of the workshop since I already had other things scheduled for the 2nd. I am not going to delve into the step by step demo by Sydney in this post but more on the experience of the workshop. The event was very well executed for something that was done for the first time. When you first approach the venue you are welcomed by the registration desk which confirms your reservation for the event, although I was informed that they would welcome walk ins although they would not be guaranteed seats. A cocktail/snack bar is set up. The studio and beauty room was wonderfully set up with tables with various products. There were also brands sponsoring the event present and they were wonderfully accommodating in answering various skincare and product questions. Brands that sponsored the event were The Face Shop, Nature Republic, Frudia, SKin79, Scinic, and Kurious - an online KBeauty store. 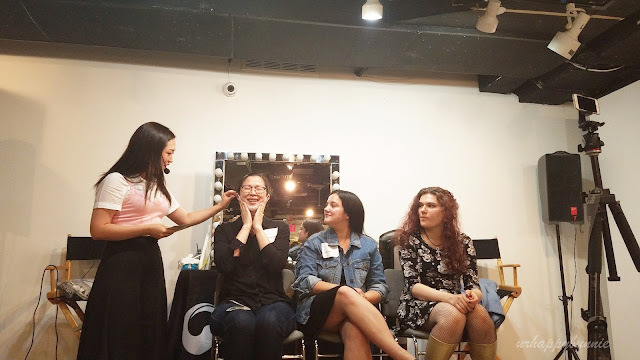 I had front row seat for the workshop for being an early bird and for being a beauty blogger. 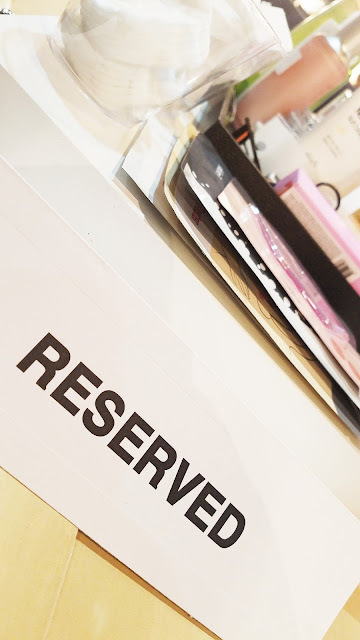 Those who works or are related in the beauty industry were prioritized to sit in front although you are free to choose where to sit during the event. The table is full of beauty items and 90% of them were used by Sydney in her skincare demo and makeup tutorial. Some of them weren't used and some of the items that she used were not available on the tables as she had disclosed. Sydney was very nice and informative. She was a little bit pressed for time during the workshop but she was able to answer questions without being flustered. I can definitely tell she knows what she's talking about although she is very mellow and soft-spoken. I honestly would've taken an entire video of the event, however, I unfortunately left my tripod so I only managed to take a short clip of her demo. She was very thorough when it comes to skincare and I really appreciate that because I always believe that great skin is the first step to great makeup. 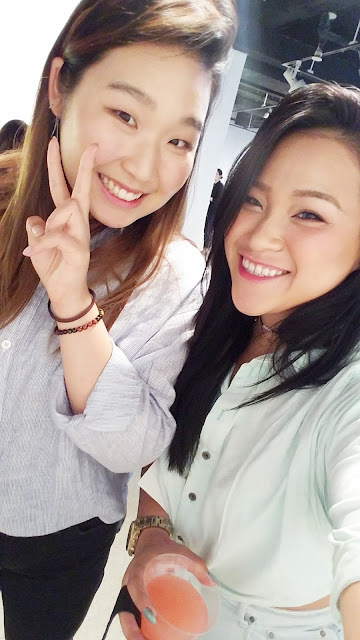 Sydney was able to demo the Korean multi-step skincare routine and Rose's makeup tutorial in a little over an hour. we took a short break which allowed the participants to grab a snack, mingle and check out the sponsored brands and their newest products. Sydney even asked a couple of girls to try on some V-line masks! My biggest takeaway from this event is meeting wonderful people. 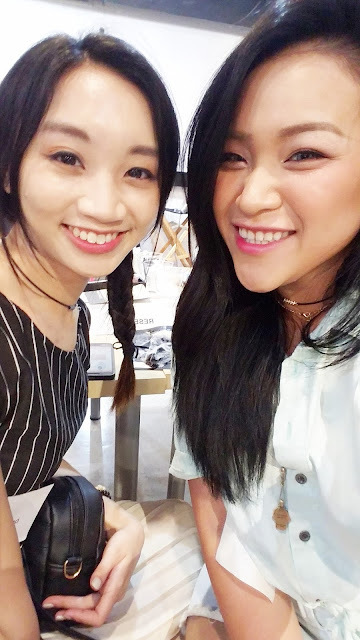 I like being able to talk to people who shares the same passion and interests as I do and they might not be beauty bloggers like me but ordinary girls who just loves KBeauty or at least would love to learn more about it. Honestly, the workshop isn't any different from what we can read on different beauty blogs or watch on YoutTube videos which focuses on KBeauty. The only difference is that, as a participant of the event, you can get a try-on on all the skincare products. If you're from New York and you're interested in more events hosted by the Korean Cultural Center of New York, please visit their website at www.koreanculture.org. 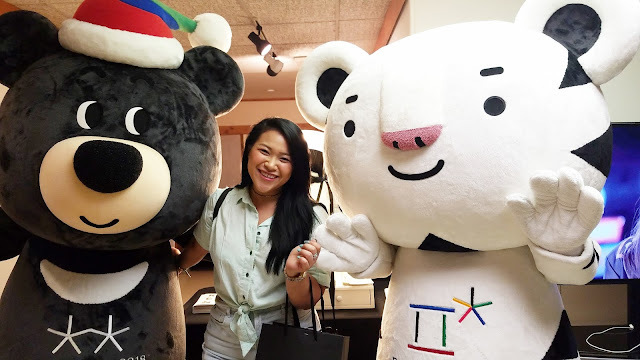 Oh, and before I forget, the event also promotes the Korean Winter Olympics and the mascots Soohorang and Bandabi which I was able to take a photo with.